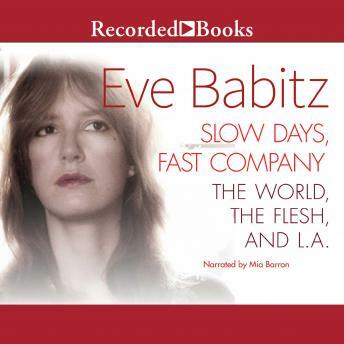 Eve Babitz captured the voluptuous quality of L.A. in the1960s in a wildly original, totally unique voice. These stories are time capsule gems, as poignant and startling today as they were when published in the early 1970s. Eve Babitz is not well known today, but she should be. Her first hand experiences in the L.A. cultural scene, translated into haunting fiction, are an unforgettable glimpse at a lost world and a magical time.